That's all from Holyrood Live on Wednesday 3 April 2019. 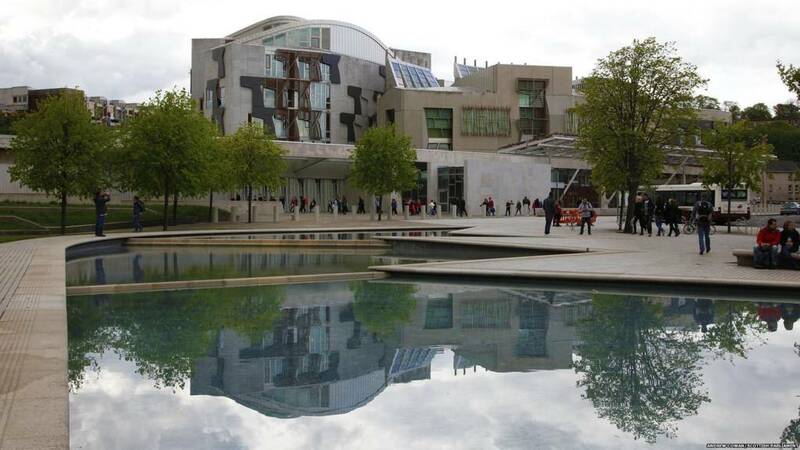 The Scottish Parliament will meet during recess if the UK is due to leave the EU without a deal next Friday, Holyrood's Presiding Officer says. Ken Macintosh confirmed the Parliament would be recalled from 1pm next Thursday in that situation. He described the matter as a "developing situation" and said MSPs may not get the suggested two days' notice. Earlier the Brexit Secretary Mike Russell said a no-deal Brexit would be a "moment of crisis" and outlined Scottish government resilience plans. If the Scottish Parliament is back, rest assured Holyrood Live will be back to cover it! Social Security Secretary Shirley-Anne Somerville says the women and their families have been badly let down. While the Scottish government agrees with equalising the age at which men and women can collect their pension, we do not agree with how the change has happened she tells the chamber. The UK government fundamentally altered the life plans of these women and failed to tell them about it, the cabinet secretary states. This issue will not go away and it is not to late for the UK government to take action, she adds. Here's the problem. In 1948 the average 65-year-old could expect to live 13.5 years. People retiring now can expect to live much longer - 22.8 years. If the trend continues as expected, today's young people can expect to live into their early nineties. Imagine the amount of money you spend on a pension is a pot of jam. Either you spread it far more thinly in future over more years - meaning a lower annual pension - or you are going to need a much bigger pot. Is it fair to ask tomorrow's taxpayers - the children of today and those yet to be born - to pay ever higher taxes to afford that? As of 6 November 2018, women in the UK began to qualify for their state pensions at the same age as men - currently 65. The move to equalise male and female pension ages began 25 years ago, under John Major's government, and has been gradually phased in. A protest was held in the Borders as part of a campaign for equal pension rights for women in November. Some members of Women Against State Pension Inequality (WASPI) say they will lose thousands of pounds after the government increased the pension age. The group gathered outside Kelso's Tait Hall - the venue for a pensions fair organised by MP John Lamont. Clare Ramage, now an SNP councillor on Scottish Borders Council, said the women had a clear case. Lib Dem MSP Tavish Scott highlights the Shetland justice pension group and the strength of feeling on this issue in his community. He says women feel they have been "robbed of their money, from their hard work, from their service, from their rights". State pensions do not take account of the higher costs associated with island life he says, and adds the population of Shetland is ageing faster than the mainland. "The 1950s generation of women deserve better." Green MSP Alison Johnstone says the myth that the UK government is working hard for pensioners has been well and truly bust. Ms Johnstone praises the WASPI women and their campaign, asking them "not to go away". Clearly there was a major failure by the UK government to let women know about the changes, she adds. She tells the chamber the Greens fully back the WASPI call for bridging pensions. Ms Johnstone reminds the chamber Philip Alston, the UN rapporteur on extreme poverty and human rights, said UK welfare reform could have been written by a room full of misogynists and she adds this is another example. Labour MSP Pauline McNeill says the issue is "the biggest scandal of this decade". The goalposts for these women were moved not just once, but twice she argues. Many of these women started work at 16, were carers and mothers, were probably on the lowest wages and there reward has been a "baseball bat across their entitlement" Ms McNeill insists. The age of retirement is going up and we need to educate people about the importance of pensions, she concludes. Tory MSP Michelle Ballantyne starts: "I want to begin by acknowledging that all the women affected by the pension changes have every right to feel disappointed, angry and aggrieved at the impact on their lives." Ms Ballantyne accepts there was a failure of communication when the changes were brought in and empathises with the women affected. She goes on to argue the change was part of the move to ensure equal pay for men and women. The pension legislation was passed in the midst of the financial crisis, she says. The UK government has fully explored the options to mitigate the change, the Tory MSP adds, saying the DWP has found substantial problems with this. Ms Ballantyne points out bridging pensions would cost up to £30bn and may contravene EU law. Millions of women have been caught up in government efforts to cut the mounting costs of paying for the state pension and to equalise the age at which men and women receive the state pension. That effort goes back decades, so to help understand the issue here is a little history. So under the 1995 Pensions Act a timetable was drawn up to equalise the age at which men and women could draw their state pension. But the coalition government of 2010 decided to accelerate that timetable, arguing that the state pension was becoming increasingly unaffordable. Sandra White welcomes WASPI campaigners to the chamber and thanks them for coming to the debate this evening. I brought a debate on state pension inequality in 2017, Ms White says, but now in 2019 there has been no progress. The SNP MSP argues no one disagrees with equalising the pensions age, but the issue is how it has been brought in. The changes are causing severe financial hardship for the women caught up in this legislation as they have not had time to put in place measures to make up for the shortfall, she insists. Pensions have been hit by cuts and the UK has a low state pension, Ms White states. The state pension is not a benefit or a pension, it is a contract people enter into with the government, she states, adding the UK government has reneged on this contract. SNP MSP Sandra White is highlighting the Women Against State Pension Inequality (WASPI) campaign in her member's debate. Millions of women across the UK have been affected by changes to state pension laws, with some saying they are missing out on thousands of pounds. Ms White's motion calls for compensation. Presiding Officer Ken Macintosh pivots to the parliament's plans to meet over the recess. Mr Macintosh explains the plan is to recall MSPs to Holyrood for 1pm on Thursday 11 April 2019 in circumstances where the UK is due to leave the EU without a deal the following day. He says he will try to give two days notices, but the recall may not be confirmed until after the EU summit next Wednesday. The Scottish government's amendment is agreed unanimously (though confusingly after a vote confirmed 115 MSPs supported it), while the Labour amendment is disagreed (31 for and 85 against). The Tory motion, as amended, is agreed unanimously. MSPs agree the Scottish government amendment from the NHS workforce debate with 58 MSPs backing it and with 52 against and 6 abstentions. The Labour amendment is agreed to unanimously. The Tory motion, as amended by Labour and the Scottish government, is agreed to. 87 MSPs backed it but 28 did not.